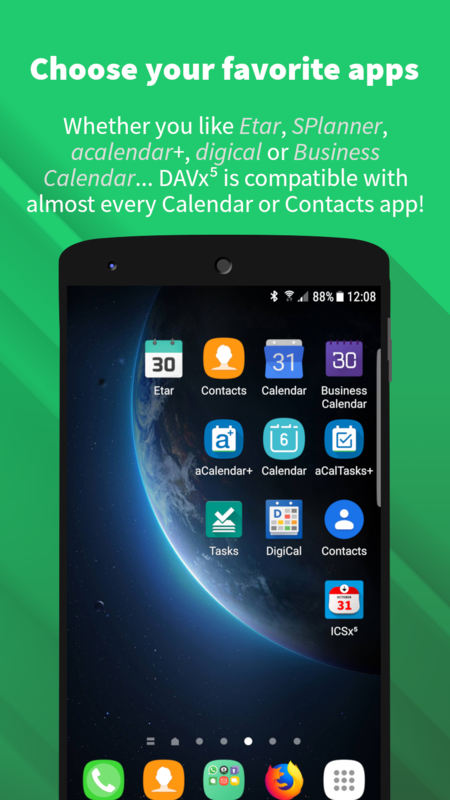 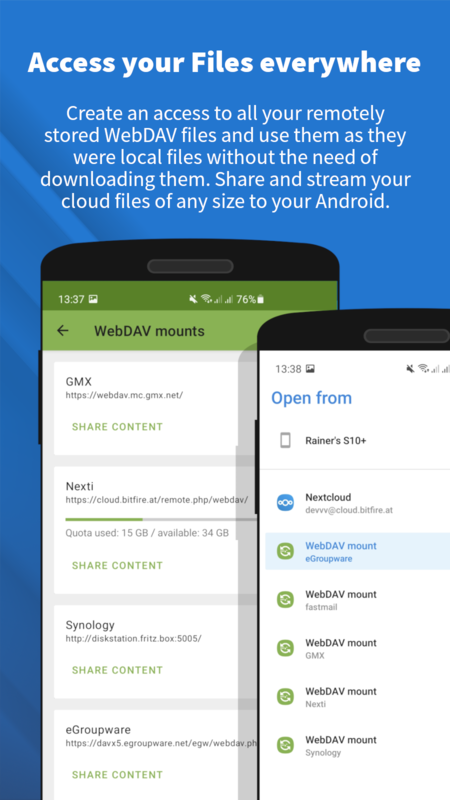 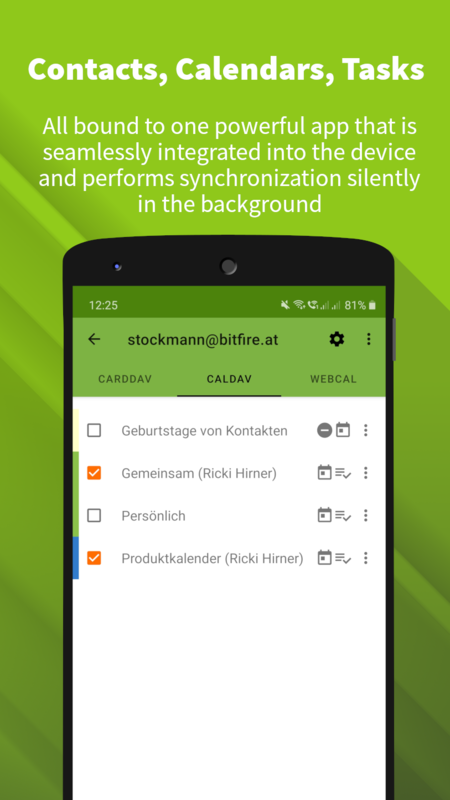 DAVx⁵ (formerly DAVdroid) is a CalDAV/CardDAV management and synchronization app for Android which natively integrates with Android calendar/contact apps. 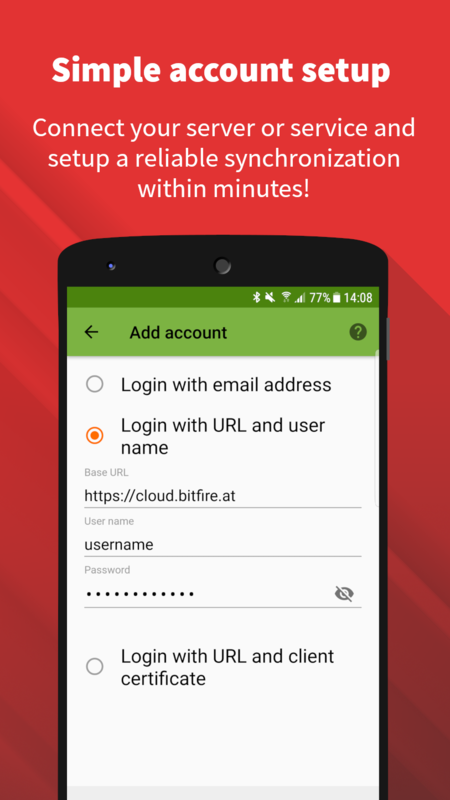 Use it with your own server or with a trusted hoster to keep your contacts, events and tasks under your control. 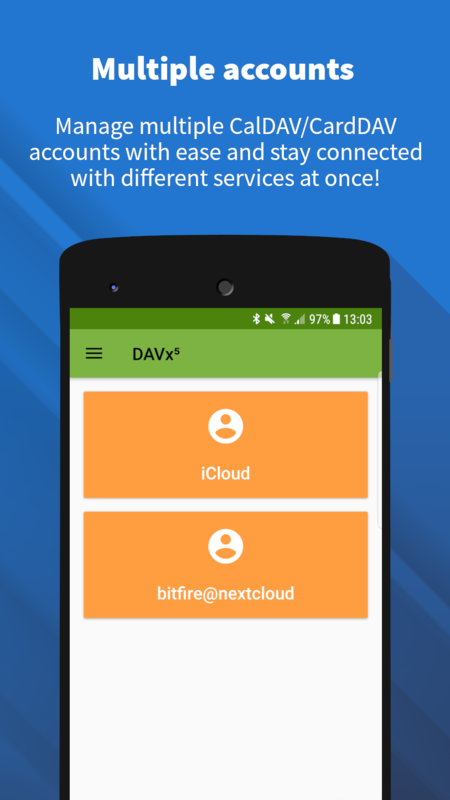 For more information and a list of tested servers/services, have a look at the Web site.